Khao Sok National Park is in the Surat Thani Province, Thailand. Its area is 739 km², and it includes the 165 square kms Cheow Lan Lake contained by the Ratchaprapha Dam. The park is the largest area of virgin forest in southern Thailand and is a remnant of rain forest which is older and more diverse than the Amazon rain . The so-called wet season is between late April–December. The temperature ranges from 22–36 °C all year around. Humidity and warm temperature provide the optimal environment for a rich eco-system in this tropical rain forest. Khao sok National Park was established 1980 and it the 22nd National park within Thailand. It consists of a thick rain forest, stunning waterfalls, perfect for the explorer traveller, limestone cliffs and surrounded by a clear water lake. 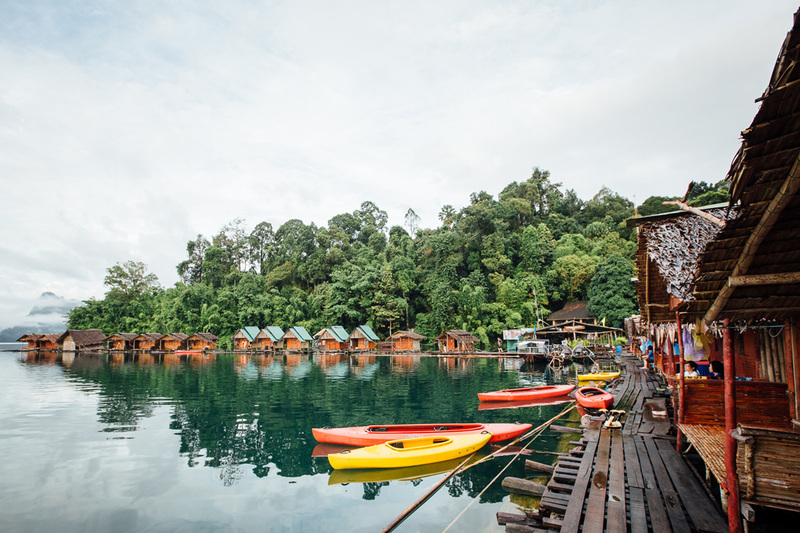 Khao Sok rainforest is partial evergreen forest and boasting approximately 200 different flora species making it one of the most bio diverse areas. Buttress root, banana, bamboo, pitcher plant, liana, fig, coconut palm, dipterocarp tree and rafflesai. Khao Sok is home of many amazing animals with 48 mammal species and 311 birds species and 30 bats, and countless reptiles and insects around the Khao Sok kingdom. 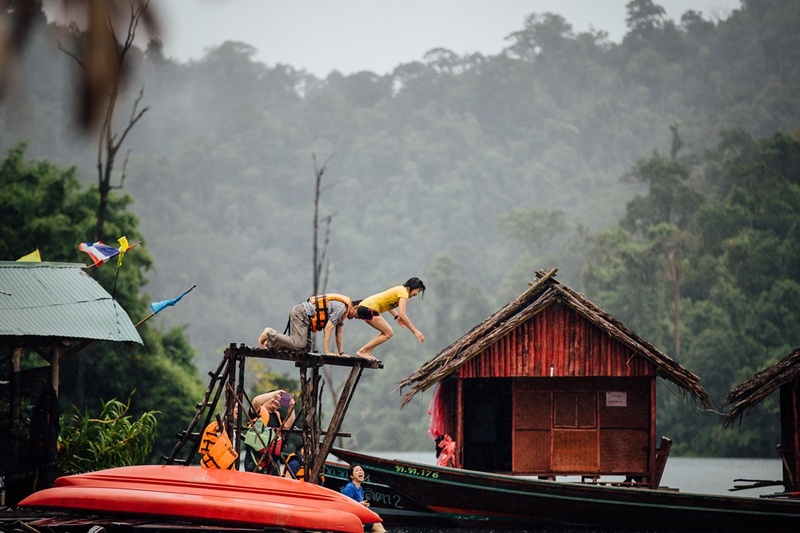 Khao Sok is without doubt a place to visit when exploring Southern Thailand. Taking part in river trips, hiking tours, survival activities, or simply embracing the comforts of your resort, surrounded by natural beauty.